Interracial dating is certainly not the scandal that it was forty years ago when many cities still practiced segregation. However, every so often you still meet people, usually older individuals, who are troubled by such relationships. Perhaps they grew up in a different world and are having trouble accepting the multi-cultural and ethnic makeup of the United States. However, it’s important to remember that America has always been made up of multiple races and cultures, even from the founding of the nation. To this day, we have continued to right the wrongs of the past, welcoming more diversity in every respect of life. While most millennials are embracing of black and white relationships, and even many babyboomers are in agreement, we do sometimes see other negative characteristics coming from supposedly tolerant people. We see see envy, jealousy, offensive humor or observations, and of course lots of stereotyping. Is this just part of interracial relationships or is there something we as a society can do to stop it? The best way to do it is to simply explain to people who make you feel bad or awkward why the stereotype or remark is offensive. This is a more effective option than just losing your temper or picking a fight. 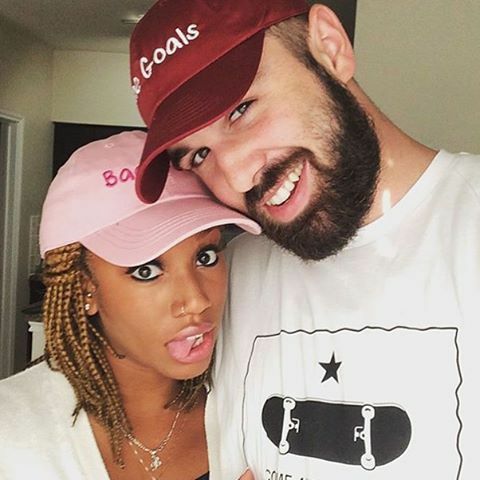 Some people really are ignorant as to how they should handle an interracial relationship and would appreciate being reminded of why a certain statement sounds racist. Naturally, you are probably going to run into a few people who are downright hostile about your relationship, even though they make claim to be tolerant and open-minded. Sometimes friends or acquaintances may annoy you because they’re jealous of what you have or because they think they can get away with saying anything they want to, just because they have black friends or have had interracial relationships in the past. But that certainly doesn’t give them the right to make you or your partner uncomfortable and you should be assertive in this situation. While it may be easy for you to “react” to people displaying racist or insensitive attitudes, this doesn’t mean that you can just as easily process it. The truth is it can be stressful having to deal with a family member, group of friends or work acquaintances who make racially insensitive remarks just because they know you’re dating outside of your own race/ethnicity. It’s highly recommended then that you talk things over with your partner if you sense they have been upset by someone, or even if you sense a family member has a problem with your relationship. Don’t be confrontational—just be mellow and inquisitive. Find out what’s at the root of the issue. You may be surprised to know! You can find black and white dating advice and matchmaking opportunities on our new app, which helps you find your ideal partner in the closest proximity. Don’t give up just because of social pressure. Keep following the path to your own individual happiness.